President Obama signed the Patient Protection and Affordable Care Act (PPACA) in to law in March 2010 after a year of intense national debate. 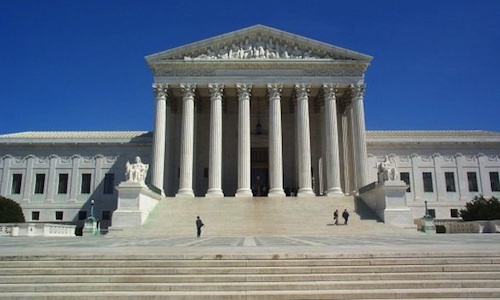 On Thursday last week, the U.S. Supreme Court upheld law, ruling that the individual mandate, which requires U.S. citizens and legal residents to have qualifying health coverage or pay a penalty, is constitutional as a tax. The ruling will have a far-reaching impact on healthcare providers, especially for those who work with underserved populations. Launched in 2002, the Hospital Quality Alliance (HQA) is a national public-private initiative that includes hospitals, physicians, nurses, federal agencies, quality experts, and consumer and business groups. HQA members collaborate to make meaningful, relevant and easy-to-understand information about hospital performance accessible to the public and to inform and encourage efforts to improve quality. Last year, members of the HQA together with the Centers for Medicare & Medicaid Services and the Department of Health and Human Services created a consumer-oriented hospital comparison website called Hospital Compare. Hospital Compare provides information on how well hospitals care for patients with specific medical conditions or surgical procedures, as well as results from a survey of patients about the quality of care they received during a recent hospital stay. Yesterday, new quality data on hospital readmission rates was made available on the Hospital Compare website. The data includes hospital readmission rates for Medicare patients with heart attack, heart failure and pneumonia. This is especially relevant in today’s healthcare reform environment because the issue of hospital readmissions has been cited by policy makers and the Obama administration as a potential opportunity for improving healthcare quality and reducing unnecessary healthcare spending . Indeed, a recent New England Journal of Medicine study found that almost one-fifth of Medicare beneficiaries discharged from the hospital were readmitted within 30 days; one-third were rehospitalized within 90 days . Until now, hospitals have had only information on those patients who return to their own hospital, but not about patients who were readmitted to a different hospital. Using Medicare billing records from July 2005 to June 2008, the information on Hospital Compare shows how often a Medicare patient with one of these conditions returns to the same hospital or a different hospital within 30 days following their initial stay. Hospitals are placed in one of three categories based on their readmission rate in relation to a national readmission rate – “no different than the U.S. national rate”, “better than the U.S. national rate” or “worse than the U.S. national rate”. Each hospital’s readmission rate for the specific condition also can be compared to its state’s average. Additionally, each rate is shown as a single number, along with a confidence interval that indicates the range of certainty in which the hospital’s true performance falls. Percent of patients who reported that staff “Always” explained about medicines before giving it to them. Percent of patients at each hospital who reported that YES, they were given information about what to do during their recovery at home. You can search for hospital information in your area using either a general search or a specific medical condition or surgical procedure search. The general search provides information on Hospital Process of Care Measures, Hospital Outcome of Care Measures, and Survey of Patients’ Hospital Experiences. The specific medical condition or surgical procedure search provides information on Hospital Process of Care Measures and Hospital Outcome of Care Measures (where applicable), Survey of Patients’ Hospital Experiences, and Medicare Payment and Volume. The Hospital Compare database is updated on a quarterly basis. Vital New Quality Data on Hospital Readmission Rates Available on Hospital Compare Website. Hospital Quality Alliance press release. 2009 July 9. 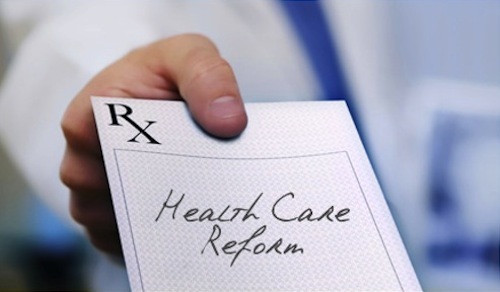 Health Reform’s Benefits for Middle Class Under Scrutiny. Kaiser Health News. 2009 Jun 25. Jencks et al. Rehospitalizations among patients in the Medicare fee-for-service program. N Engl J Med. 2009 Apr 2;360(14):1418-28.